Our sacred mountain that rises above the clear river Soča. It is the highest summit in Krn mountain ridge. Its height on the top from the viewing platform offers us a great view. On a clear day in the south the Adriatic Sea can be seen, to the north the Mountain Triglav, and at the foot of the mountain on the north side the Krn lake can also be seen. Krn lake is the largest alpine lake in the country. On the south side just below the summit stands the Gomilšček schelter. At the foot of the mountain stands a hut Kuhinja, where mountaineers after a grueling tour can refresh themselves. It is a plateau next to mountain Krn. It has very gently slopped summit. It is the most famous from the battles of the 1st World War. The worst battles were held on Batognica on 21st July 1915, when the Italians pushed Austro-Hungarians to the eastern third of the plateau. The Italians occupied the western and central part of the plateau Batognica and Austro-Hungarian army still held the eastern part. Armies were only 85 meters away from each other. Both armies were heavily fortified. They both dug an extensive systems of caverns and tunnels in which the soldiers spent two more years. The battle line during this time did not move at all, so the Italians dug tunnels under Austrian positions and placed the explosive beneath them. The Austro-Hungarians also wanted to surprise Italians in the same way. They accidentally discovered the Italians tunnel and carefully removed the entire explosive from it. The explosive was then placed under Italian positions and detonated. The explosion crater of detonated 4100 kg of nitroglycerine is still clearly visible today. Matajur (it. 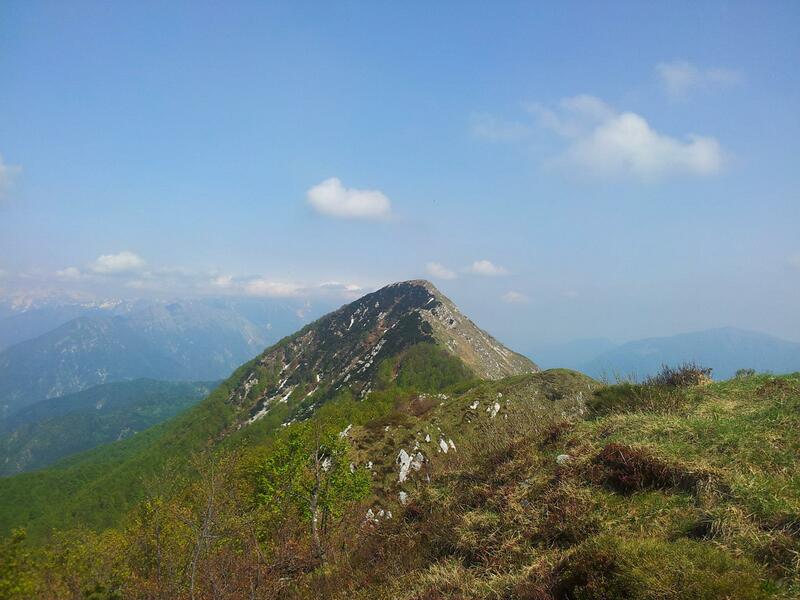 Monte Maggiore) is border mountain between Slovenia and Italy. It rises above Kobarid valley and Venetian Slovenia. It is 1642 m high. Stol is a part of the longest reef in the Julian Alps. The reef is 25 km or 35 km long, considering also the western part. 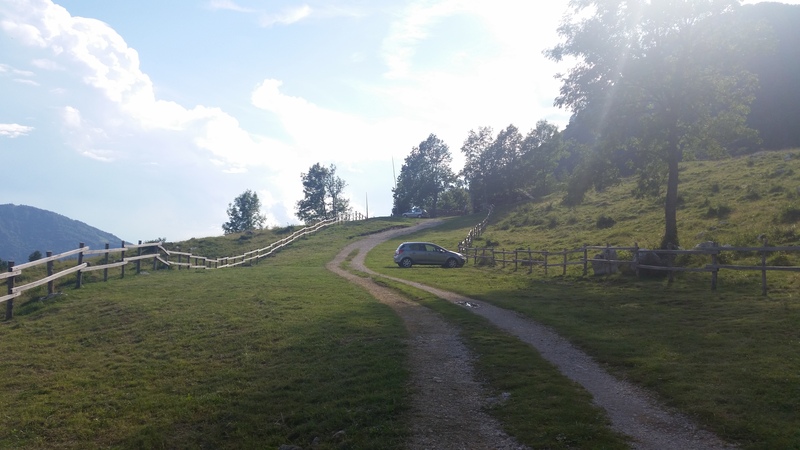 The summit, where telecommunications transmitters are placed, offers a beautiful view of the Kanin massif, central Julian Alps, Krn mountain chain, Matajur, Adriatic Sea, Breginj valley and to previously mentioned ridge up to the mountain Breški Jalovec. A stamp and registration box can be found on the Stol summit. 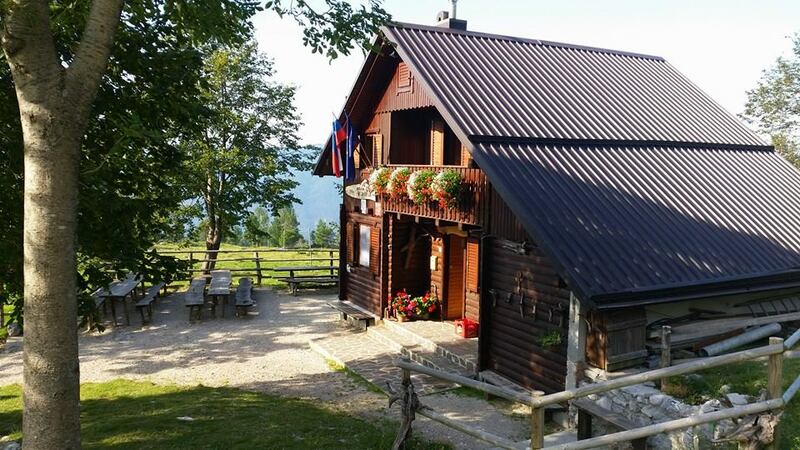 Krasji vrh is located between Bovec and Kobarid on a mountain ridge Polovnik. Krasji vrh is with its 1773m the highest peak of that ridge, so it offers a nice view over the Soca River valley and the surrounding peaks. From the top, where the registration box can be found, offers the most beautiful view of the nearby mountain Krn. Muzec (Musc) is 1,612 meter high mountain, and it is located north of Breginj valley. From its top, where the stamp and registration box can be found, offers a beautiful view of the Julian Alps and their foreland. On the west side just below the summit at an altitude of 1,550 m above sea level the accommodation hut is located. Gabrovec (Gabruc) the 1630 m high mountain, which is located northwest of Breginj. From the top, we opened a beautiful view of Breginjski kot, Adriatic Sea and western and central Julian Alps. Mrzli vrh is the highest part of the ridge, which begins in Zatolmin and running in a north-westerly direction, and through Visoč peak (1,482 m) reaches the Krn ridge. The ridge’s top is wide, flat, and fairly bare. it is not surrounded by other mountains in its vicinity and therefore it offers a nice view.